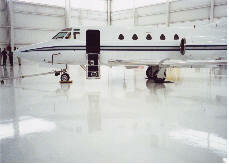 FoamCoat has many years of experience with the vast array of coating choices that are available. For many applications many coatings will do the job. Other applications are better met with a singular selection. Benefit from our expertise. Let us work with you to select the coating that best meets your individual need. Neogard has been the “driving” force in the vehicular traffic-bearing waterproofing market for more than 40 years. Auto-Gard systems provide a variety of cost effective solutions and options to ensure years of worry –free service. 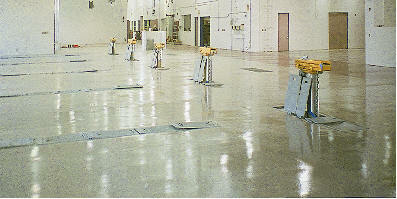 Peda-Gard features the same unique physical properties and protection offered by Auto-Gard, but in a system engineered for lighter pedestrian loads. The system is the perfect choice for any area that will require waterproof protection while providing a skid-resistant surface for pedestrian traffic. Pool-Gard is designed to prevent leaks in water containment applications. chemicals. Neoflex is a waterproof, elastomeric and waterborne high-build coating for use on properly prepared surfaces such as concrete, masonry and stucco. It combines the decorative qualities of the best acrylic paints with the elasticity and flexibility of high-performance elastomers, resulting in a system that can accommodate thermal expansion and contraction even at very low temperatures. In addition to their stretch, Neoflex elastomeric wall coating films are thicker to bridge cracks and hide surface imperfections. Polyureas are a proven choice for some of the toughest conditions. They are superior to urethanes and epoxies where you need quick cure time developing chemical resistance and physical properties within hours of application. They can be applied successfully under greater extremes of atmospheric conditions. Their flexibility makes them an excellent choice where the substrate expands or contracts. The VFI Polyureas are a durable and proven choice in such applications as roofs, pipe and pipelines, bridges, tank coatings and linings, wastewater treatment facilities, retaining walls, tunnels and numerous others. Stayflex is a Preferred Solutions Inc. patented coating that offers unequaled corrosion protection. It is essentially a "fiberglass" coating that is impervious to chemicals, humidity and other damaging things found in many environments. 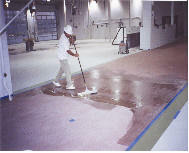 FoamCoat is the country's leading sprayer of this specialized product, and along with PSI, has developed many unique and some proprietary methods for maximizing the quality and value of a Stayflex application. See the corrosion protection page for more detailed information. Not always thought of as coatings, waterproofing products for concrete and masonry are indeed a coating. Where your coating needs are for covering concrete or masonry with a colorless, waterproofing/seal the Chem-crete line offers unparalleled choices. As an agent for this product, we not only use it as an application choice for our own efforts, but can provide the product through our distributors or, where we do not have distributors in place, directly to an applicator for their use.